James Bekier is the Director of Litigation Services, operating out of both the New York and Los Angeles offices, establishing a Tier 1 in-house litigation support service. James supervises a team of more than 20 professionals in 6 offices that oversee the management of large volumes of data and multiple technologies. 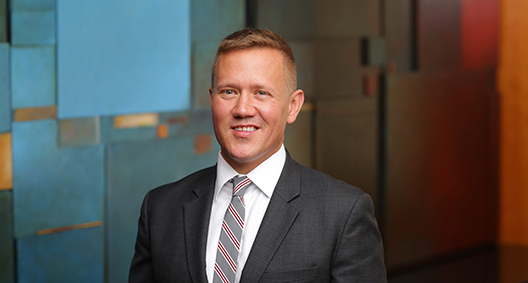 James has a background working on complex class action securities and antitrust litigation as an attorney, where he became well-versed in evolving E-discovery rulings, service offerings and solutions. After 5 years of litigating, James became Discovery Manager for a large eDiscovery and Document Review company in New York, then shifted back into law, working as an e-discovery project manager for a law firm. Develops and implements systems and processes to ensure an efficient and consistent discovery process; implements discovery best practices from anticipation of litigation through trial across a wide spectrum of cases from single small matters to coordinated actions with more than 1,000 cases. Advisor to attorneys and clients on international and complex, large-scale matters, on the complete life cycle of discovery including data mapping, identification, preservation, collection and database administration. Consults with partners and clients on their individual needs in and across their litigation; develops technology and reporting systems encompassing hundreds of matters, providing clients and legal teams with current information on the aspects of their cases including docketing, legal issues, budgeting, vendor management and expert management. Manages firmwide litigation support technology and budget, from business case justification through negotiation of contracts and purchases, and performs the ongoing asset and cost management. Advises both clients and attorneys on a variety of complex cases and subject areas, including multidistrict litigations, data breaches, and client information governance and retention policies.